Kapler's behavior here is going to lead to a lot of criticism. Philadelphia Phillies manager Gabe Kapler is facing strong criticism over new revelations about his actions in one of his prior roles, as director of player development for the Los Angeles Dodgers (a role he held from November 2014 until he took the Phillies’ job in October 2017). As per a new Washington Post piece from Will Hobson, Christian Red and Teri Thompson, a police report and other information obtained via open records requests raise questions about Kapler’s actions during the team’s spring training in Arizona in February 2015. At that time, a 17-year-old girl emailed Kapler with a troubling story alleging mistreatment in a Glendale hotel room from two Dodgers’ minor-leaguers and the women they were hanging out with. But Kapler didn’t contact the police, and instead wound up in discussions with the girl’s grandmother, trying to arrange a dinner with the girl and the players in question. As the girl described the events of the night, as set forth in the police report, she added details she hadn’t mentioned to her grandmother. At one point, she said she began to feel sick and decided to lie down on the bed. While the two women and one of the players were in the bathroom, the other lay down next to her and slid his hand under her bra, and then down the front of her pants, she told police. It ended quickly, she said, when the others came out of the bathroom. The girl told police she didn’t want to pursue the case, but her case workers pressed charges. The grandmother forwarded emails from Kapler, but the girl then ran away from the group home, and the police then got a call from a lawyer representing one of the players, who said his client would not speak to police. The police moved on after two months without laying charges, thanks in part to the girl (who had resurfaced) declining to cooperate with that investigation. The Dodgers released the player in question in April, and he spent another year in the minors with another team before ending his career. 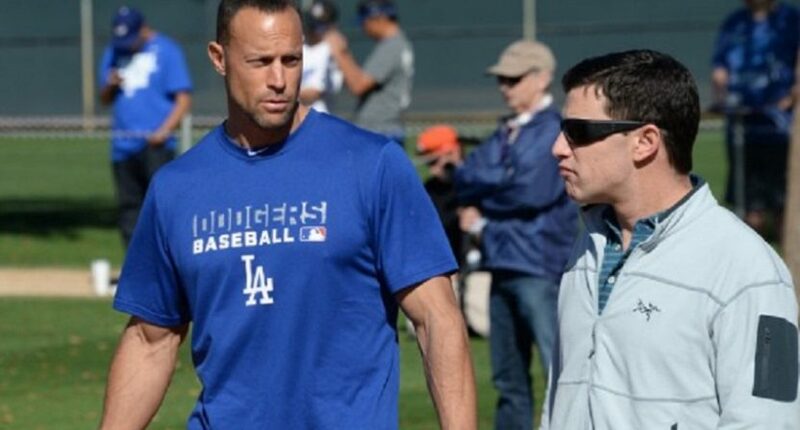 The defenses from those involved in the story include a written statement from Kapler saying “his actions were in line with club policy and advice offered by Dodgers’ lawyers and human resources personnel. He was not aware a sexual assault was alleged until he was contacted this week by a reporter,” and Dodgers’ outside counsel David Schindler saying Kapler and those who consulted weren’t aware of the sexual assualt allegations, adding “The Dodgers acted appropriately, and any suggestion that they should have done something different is simply unfair and inaccurate.” But there’s a lot to take issue with there, especially when it comes to Kapler and those he consulted with not passing anything on to police about the allegations of assault from the women, and to Kapler trying to arrange a dinner with the players and the girl to smooth things over. None of that seems like appropriate conduct, even if they weren’t aware of the sexual assault claim. And this raises questions for both the Dodgers and for Kapler. The Justice Department’s currently investigating MLB’s Latin American operations over possible corruption, and the Post story notes that while this isn’t directly related, it’s the latest suggestion of issues with the Dodgers’ oversight of their minor league and scouting operations. But the implications for Kapler may be even more substantial, as he still has an extremely prominent role within baseball (albeit now with a different team). And there are going to be plenty of baseball fans and pundits who take issue with how he handled this. We’ll see what that leads to.